Colorado Peak Politics | PRE-EMPTIVE REFUSAL: Are Doctors Refusing Colorado Health Co-Op Patients Already? PRE-EMPTIVE REFUSAL: Are Doctors Refusing Colorado Health Co-Op Patients Already? “I’ve paid my premiums, I’ve paid my deductible, I think that, I don’t want to say entitled but yeah, I am. I’ve done everything that I’m supposed to do,” said Twito. The health insurance company agrees, but some doctor’s offices decided to stop accepting Colorado HealthOP, for fear of not getting reimbursed. 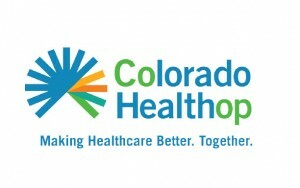 “Colorado HealthOP will remain fully operational and we’ll continue to collect premiums, continue to pay claims and continue to honor our network and provider contracts through December 31,” said George Lyford, general council for the company. This bad news only makes news that the average insurance premium increase in Colorado next year will be 10 percent. In the mountains, it could be as high as 25 percent. If this doesn’t convince Coloradans that it’s time to get government out of the health care business, nothing will. But, don’t worry, Coloradans will have the opportunity to vote on a single-payer (read: entirely government run) system next year. Just remember this when ballots drop next year, PeakNation™.